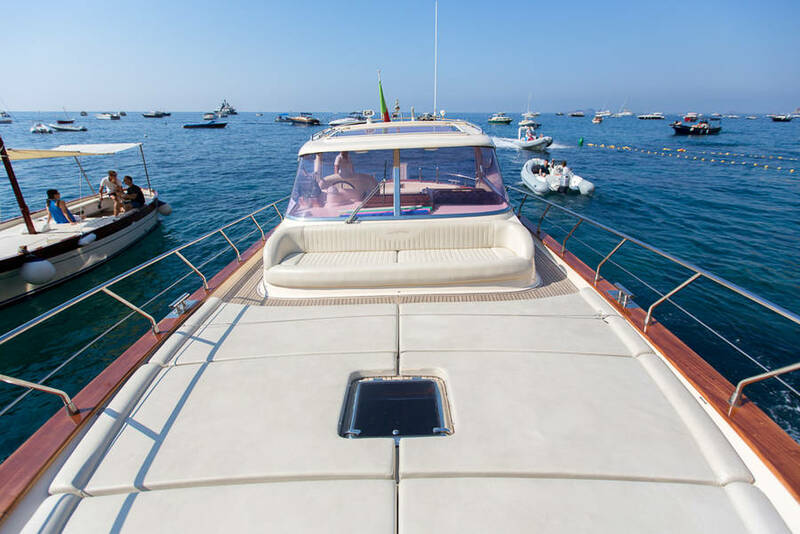 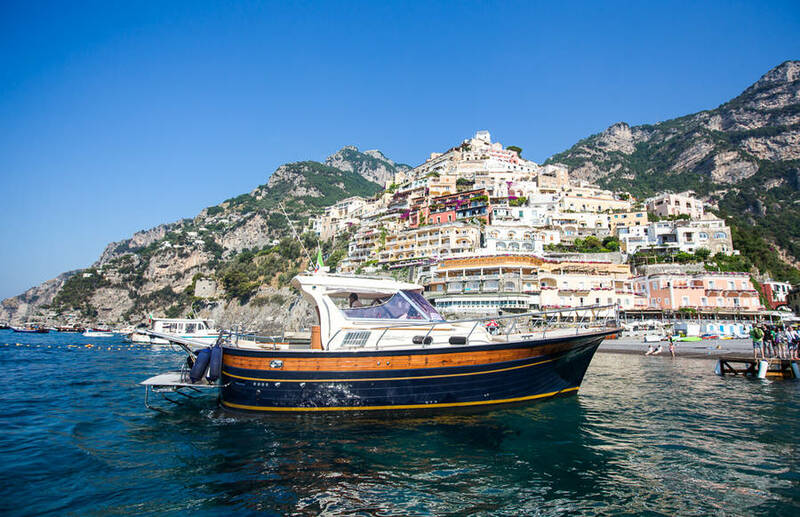 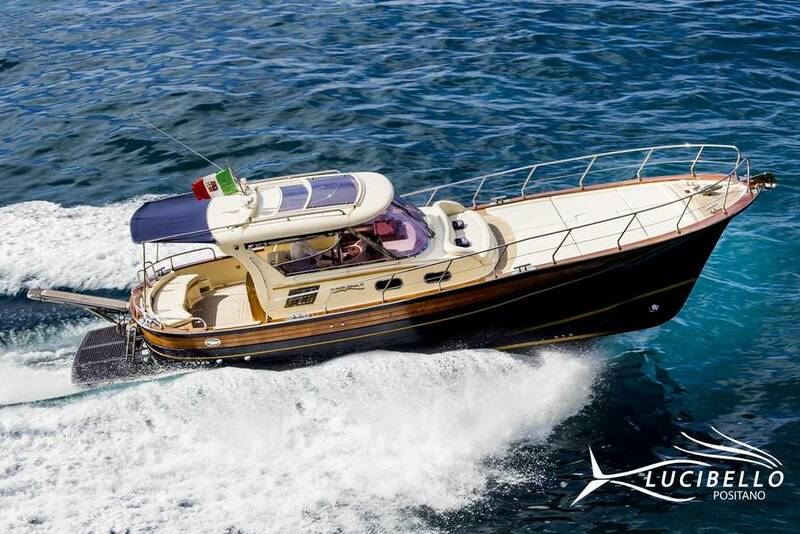 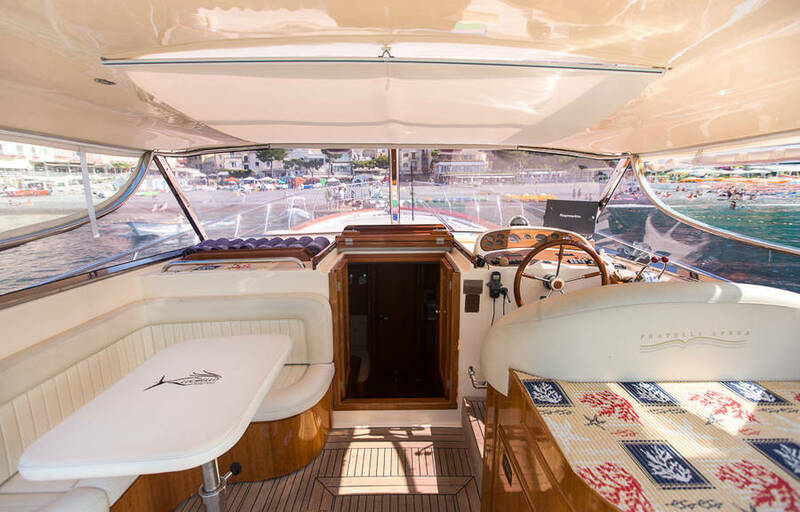 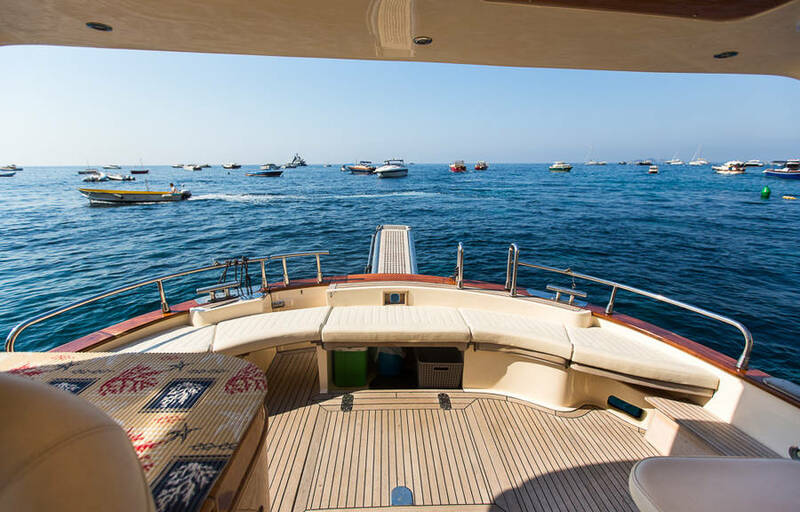 A large and comfortable gozzo boat with couches, cushions, a gangplance for easy boarding from the pier, and a platform for getting into and out of the water in total comfort. 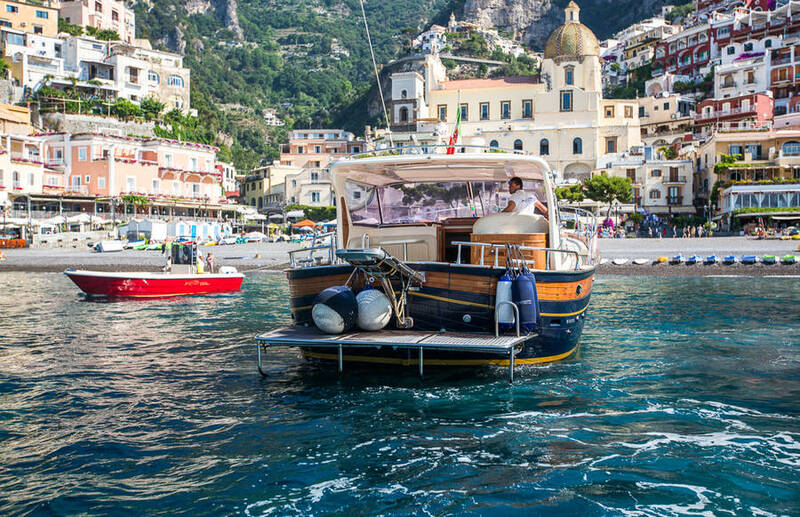 This gozzo boat with a cabin lets you enjoy your day at sea even when the weather isn't perfect, given its covered stern area. 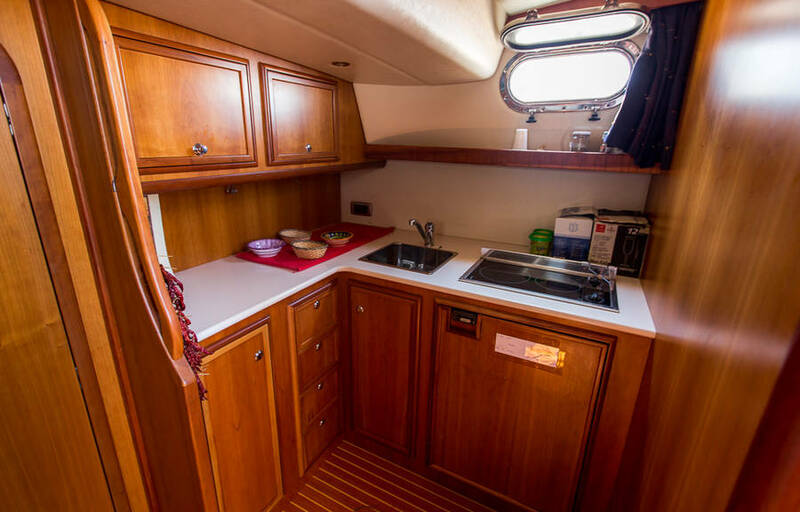 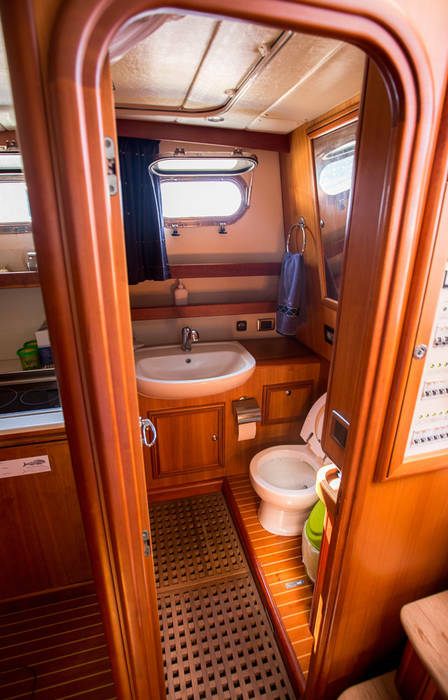 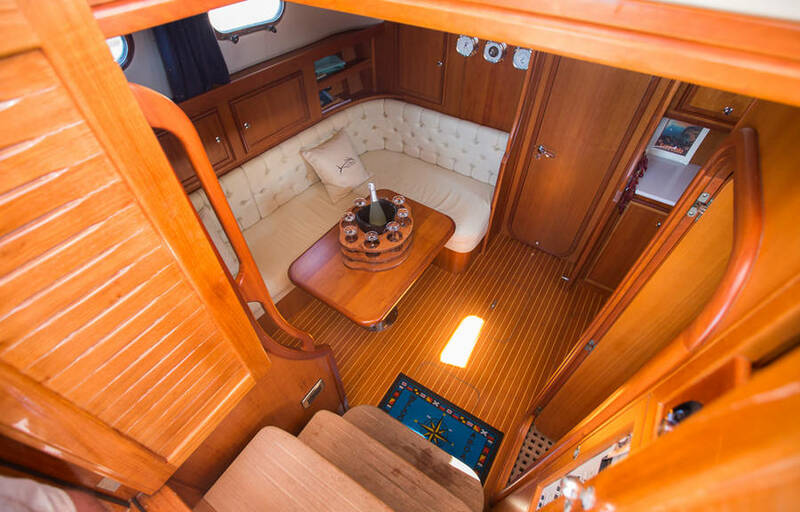 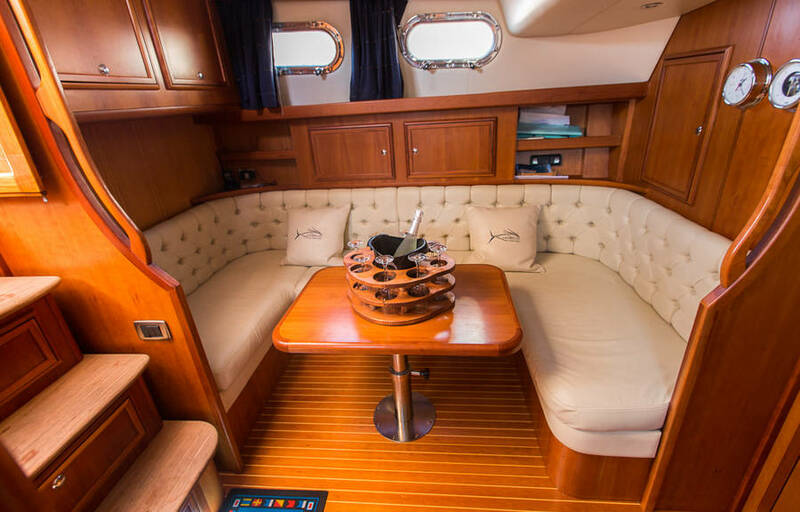 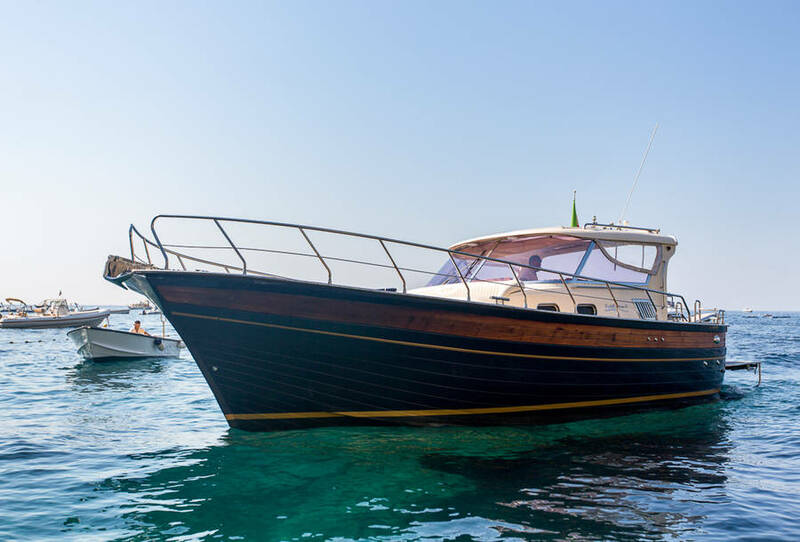 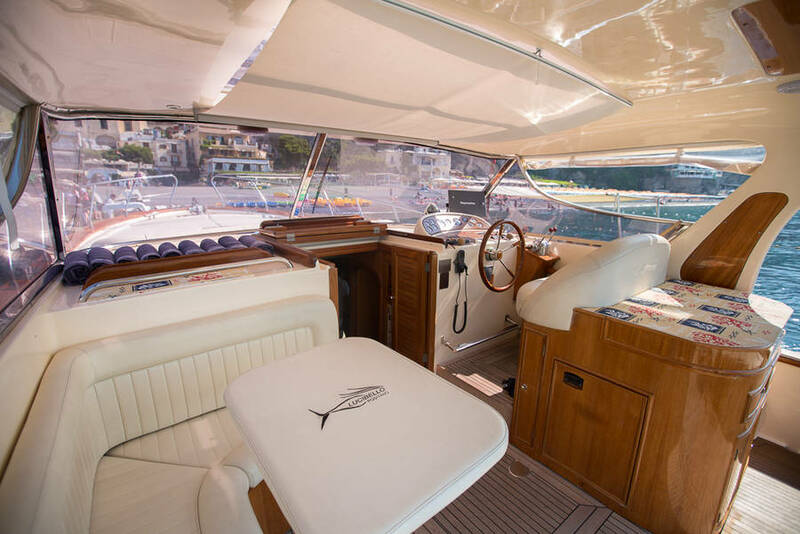 Enjoy a day on this spacious gozzo with a galley with a dining nook, a bathroom, and a double sofa bed.